Sure, they’ve written some good songs but overall when it came to Dokken, I could always take ’em or leave ’em. I gave their last album (Lightning Strikes Again) a shot and ended up thinking it was a solid release (it has grown on me more than my review at the time implies it would) so I was more than happy to sample Broken Bones despite the album cover making me think this was the latest effort from Running Wild. One thing I’m happy to report is that despite being 31 years and 11 studio albums into their career, Dokken is still serving up melodic metal without showing their age or sounding long in the tooth. Yes, I am aware that only half of the classic Dokken line-up is here but that foursome hasn’t played together since 1997 and newer members Levin & McNabb do just fine filling out the roster. Even Don’s voice is holding up quite well and doesn’t seem to strain as much as it did on their previous release. 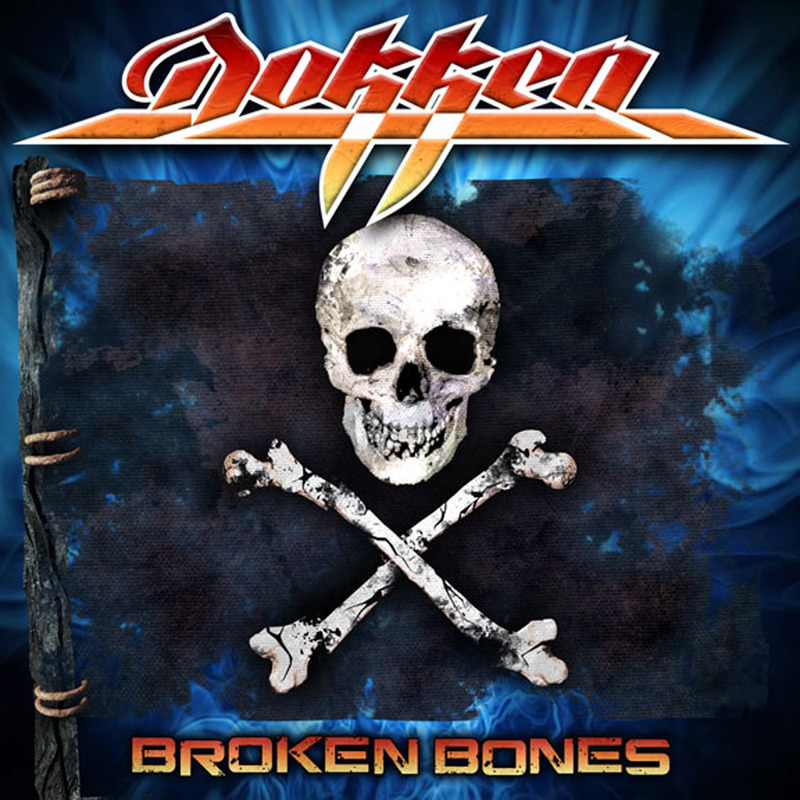 Broken Bones will appeal to the old school Dokken fans That classic sound is here (though maybe slightly heavier) and it’s the perfect companion to Lightning Strikes Again. To be fair, some filler slips through such as “Waterfall” and “Blind” but I’ve always felt filler was pretty much a given when it comes to this band. Don’t get me wrong, this IS a good album. 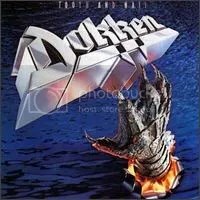 “Empire” is heavy and the best choice to open the album, “Broken Bones” are “Fade Away” are classic Dokken, “Today” is a pleasantly different type of ballad I would not have a expected from this band, almost New Age sounding, “Best of Me” sticks in your head and “For The Last Time” also has a classic sound while adding some great melodic moments as well. Another enjoyable effort from these guys. Dokken fans shouldn’t miss out and won’t be disappointed. Highlights: “Empire”, “Broken Bones”, “Best of Me”, “Victim of the Crime”, “Today”, “For The Last Time”, “Tonight”. Another good release from Dokken! My opinion has really changed on the band after listening to Under Lock and Key and Back for the Attack. I wouldn’t place the band in my top ten (or even top twenty) but I have a new found respect for them. 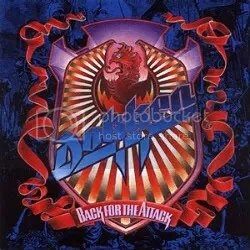 This album is a step behind Under Lock and Key (my favorite of all the Dokken albums I’ve heard). There’s nothing here that comes close to being a standout track like “It’s Not Love” but there’s still plenty of good stuff (like the instrumental “Mr. Scary” which sounds like the music for a video game) and unfortunately there’s some filler as well. 13 tracks? That’s going a bit too long for my tastes. I wonder why they decided to increase by three songs compared to Under Lock and Key. “Dream Warriors” is of course one of Dokken’s most famous songs and stems from the A Nightmare on Elm Street 3: Dream Warriors movie soundtrack. It was originally released in February 1987 as a single. Due to its success, it was remixed and included on this album, which was released in November of that same year . That’s one way to explain the length of this album. This was the last Dokken album until their reunion in 1995 but it was a nice note to end on. What a difference a year makes! 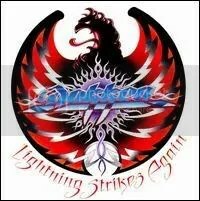 Almost 12 months ago I gave an extremely brief and less than glowing review of Dokken’s Tooth And Nail and stated that 2009’s Lightning Strikes Again (a title that gives a nod to a song off this very album) was more of the same. 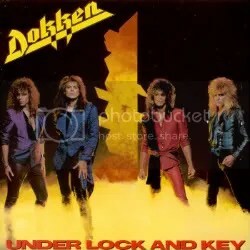 Well, despite not being the biggest Dokken fan in the world, I knew enough to know that Under Lock and Key was generally considered to be their best work so when I saw it along with Back for the Attack at Barnes & Noble for $5.99 each, I had to pick it up because I had money to burn. I was really surprised by this album. I was already familiar with “In My Dreams”, “It’s Not Love” and “Unchain the Night” but the rest is completely new to me. Don really pushes his voice on this album and in a good way. I didn’t realize he ever had it in him! I like most of these songs. They range from great to decent but there is one that sticks out like a sore thumb: “Slippin’ Away”. Just a bad hair ballad. Ballads are not this band’s strong suit but they excel at dirty rockers like “It’s Not Love” (probably my favorite Dokken song of all time) and “The Hunter”. Funny side note – I was playing this album in my car and my girl noticed the cover. She picked up the jewel case and said “who are these losers?” I had to remind her that was Dokken! Then she asked for their names and referred to George Lynch simply as “girl” based on his cover appearance. Anyway, I’ve been cranking this album a lot since finally listening to it (it saw here for a few weeks without me even sampling one track) and I’m really glad I bought it. Another classic album joins my collection! I’ve said it before and I’ll say it again I just don’t “get” Dokken. I guess I like my hair metal bands with a little more flash. This was the band’s breakthrough release, going platinum, but it’s nothing special, in my eyes. There are a few songs that are decent, but nothing worth going out of your way for. I was never really impressed with the Dokken songs I had heard over the years, but I had never owned an album, so I picked this one up after lots of recommendations. I found that my hunches were correct. It’s a wonder I even bothered to try again with 2008’s Lightning Strikes Again. I know Dokken and this album are considered “classics” in the pop metal circles, but they aren’t for me. I’ve never been a big fan of Dokken. They’re solid, but nothing special in my eyes. I liked the clips for this album that I had heard on their MySpace page though, so I decided to pick this one up. I’ve spun this quite a few times and while the album is fine, it still hasn’t changed my opinion on the band. This is just solid 80s-tinged hard rock, the same stuff Dokken has been doing their whole career. “Heart to Stone” is the standout track here, everything is pretty much what you’d expect if this was released by Dokken in the 80s, except Don’s voice strains at points. There’s a few modern touches (“Disease”), but overall, the “classic” Dokken sound has been retained.